In a recent discussion with a friend, we agreed that reviewing our most beloved restaurants is comparable to crafting love letters: excessive use of superlatives, gushing praise throughout and pledges of lifelong loyalty. While enjoyable, it’s the scathing reviews which tend to elicit a more gleeful response from readers. Writing and reading about the wrongs is cathartic and entertaining, I get it. But this review is dedicated to a place working with the right formula. Given its proximity to my former office, I’m losing count of the number of times that I’ve dined at Clipstone. After my initial solo visit, I’ve arrived with a different person in tow each time, whose ears are chewed off en route (I’m helping more than hindering; the lack of soft furnishings could deter the aurally sensitive). I love everything about this corner restaurant on Clipstone Street in Fitzrovia, its plain façade and stripped back interior belying the complexity of the seasonal menu. The caramel-coloured leather window seats near the entrance offer the best (and most comfortable) view of the intimate space and open kitchen. Rather pleasingly, there are no long-winded dish descriptions: the snacks, starters, mains, sides and desserts fit onto an A5 sheet. Specials are scribbled on a blackboard. Like its older sibling Portland (on nearby Portland Street), this is fine dining without the fuss. Peeling off and discarding each layer of distraction – fancy tableware, overly attentive service and pompous attitudes – has left us with the juicy centre. Exec chef Merlin Labron-Johnson’s menu is every bit as magical as his name. His passion for pickling, fermenting and curing, developed during his time at In de Wulf in Switzerland, is clearly evident. Classic techniques and ingredients are respected without stifling innovation. 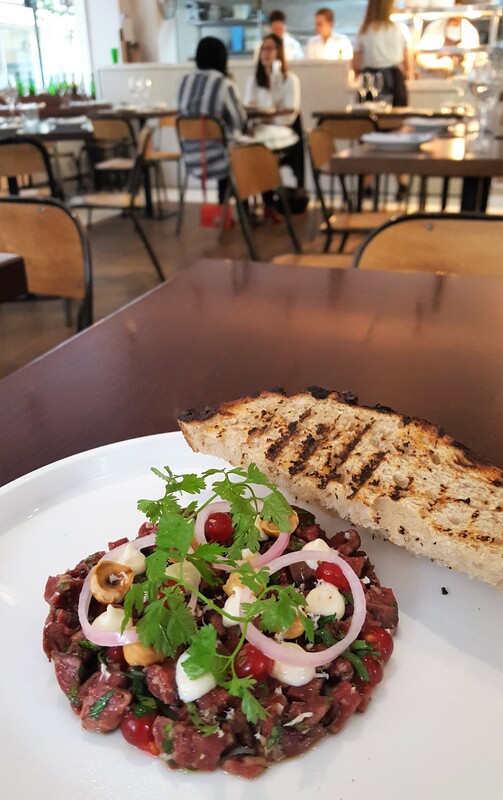 Clipstone had me in their clutches at ox heart tartare. Roughly chopped then combined with redcurrants, hazelnuts, pickled onion rings, coriander and hazelnut cream, this is practically peerless. Each mouthful is a harmonious interchange of soft and crunchy, sweet and sharp, fresh and rich. The lamb version, served with pecorino and crisps, proves that the kitchen is no one-hit wonder. As soon as I take a bite, I wish another would miraculously appear to avoid the inevitable sadness of an empty plate. For those who aren’t as fixated on raw meat as myself, you’ll be relieved to know that other options are available. Beetroot and black cardamom risotto, topped with slivers of pickled beetroot and grated horseradish, is an edible, autumnal-inspired rainbow of a dish: a crimson circle with tinges of yellow, green, orange and white. The seductive looseness of the rice is a world away from the sloppy stodge that some brazenly call by the same name. 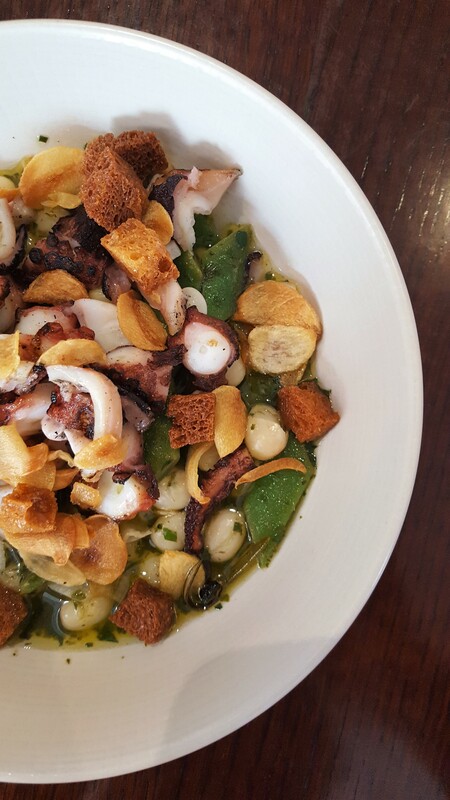 The pescatarian offering is equally strong, with my first experience being an octopus stew. Having loved this meaty mollusc in San Sebastiàn last year, I’m curious to see if the dish can match the succulence of the Basque variety. It certainly does, with coco de paimpol beans, runner beans and fried garlic to make things even more interesting. Cod with hazelnut miso flakes easily, sliding into the rich plum butter sauce as one does between silk sheets. Never before has fish felt like such a naughty choice. Meat does occasionally meet heat, too. The breaded rabbit special, with a side of steamed spinach in ponzu butter and sesame, wins Chef Savla over during his inaugural dinner. Such is his delight that I’m scolded for not inviting him until now. Onto dessert: would it deliver or disappoint? No chance of the latter, especially when the dish names read like poetry. 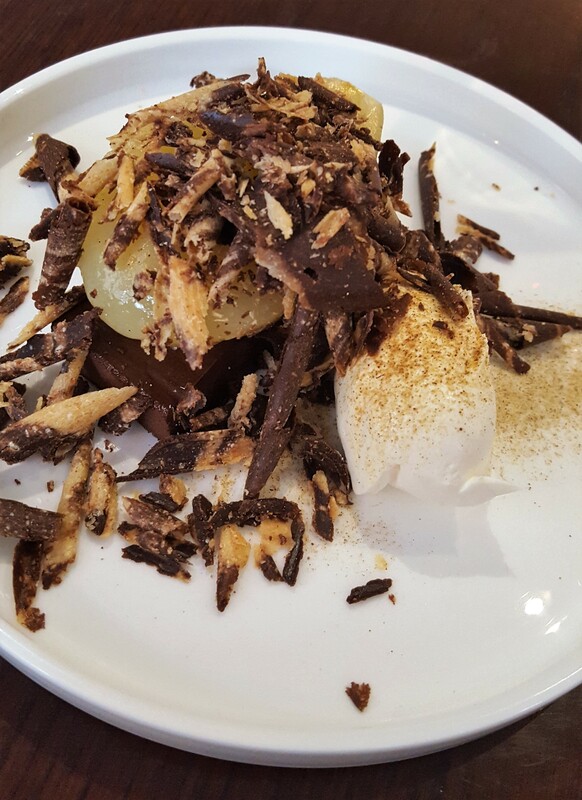 A slinky marquise au chocolat, poached pear and mascarpone ice cream is elegantly covered by frozen sablé biscuit curls the shape of long, thin pencil shavings. It’s pure indulgence. Just when I think I’ve reached peak dessert, rice pudding with mango and coconut, all sweetness and light, waltzes into my life and renders me temporarily speechless. Chef Savla laments being absent during that moment. 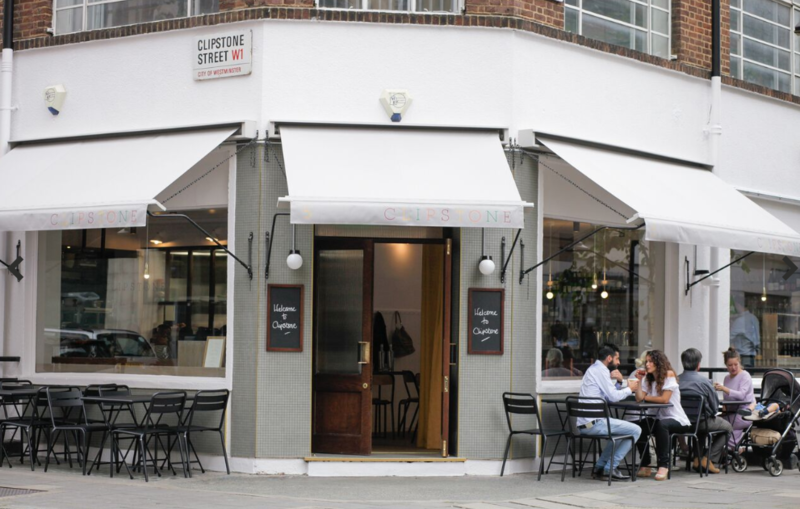 In spite of the odd hiccup and inconvenience – the wrong bill, incorrect orders and tables so close you brush other diners with your backside on arrival and departure – Clipstone is one of London’s finest restaurants. The ever-changing menu reflects the seasons, so not even the most faithful of followers will tire of it. But truth be told, if I can have the same breakfast day in, day out, I think I could handle a daily dose of tartare and dessert. Dear Clipstone, you had me at hello. Budget: A meal for two is £90-£110 (including drinks and service). 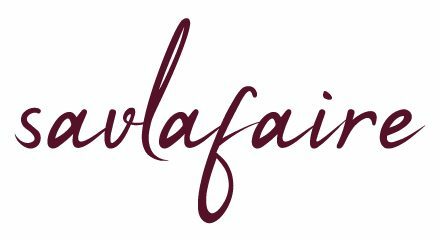 All words and images are my own, unless otherwise stated, and remain the property of www.savlafaire.com.